The English rock band is considered to be one of the earliest space rock groups and a pioneer of space rock music genre. The lyrics of the band Hawkwind are often inspired by urban and science fiction themes. The band’s music is considered as something that bridges the gap between hippie and punk cultures. Various types of music genres have been incorporated and observed in their music which includes space rock, psychedelic rock, protopunk, acid rock, hard rock and progressive rock. 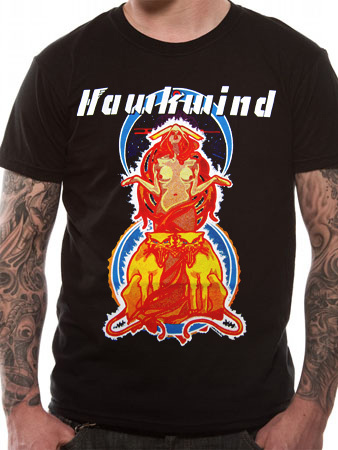 Hawkwind was formed in the year 1969 by guitarist, vocalist and songwriter Dave Brock. 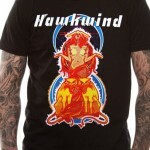 The band was originally and briefly called as ‘Hawkwind Zoo’ which was inspired by the nickname of Nik Turner. Many musicians and artists have performed and worked with the group so far with renowned fantasy/science fiction writer Michael Moorcock being an occasional collaborator. Hawkwind boasts of around 26 studio albums so far. The band has also released 11 live albums and various remixes and videos.